28 down, 1 to go. Countless storylines heading into one basketball game. 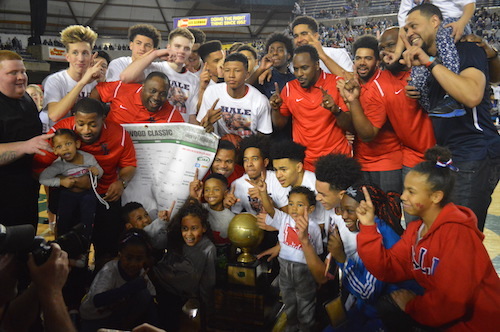 The top ranked team in the country virtually all season long Nathan Hale led by first-year Head Coach Brandon Roy and touted prospect Michael Porter Jr. had one more box to check in his final prep game before following in his Roy’s footsteps and heading over to Montlake to play at the University of Washington. To do so, they would have to take down a tough Garfield squad led by two future teammates Jaylen Nowell & Daejon Davis for the fourth time this season, the closest of which a four point win at Garfield on January 27th in a nationally-televised game. Could Garfield prevent the Raiders from rewriting the history books of Washington high school basketball? A tightly contested opening two quarters were highlighted by the one-two punch of Porter and P.J. Fuller who combined for 17 points and 11 rebounds in a low scoring first half. The Bulldogs relied on their balance of playmakers including Jamon Kemp whose midrange game had early success for 9 early points. Both teams were held under 40% from the field. 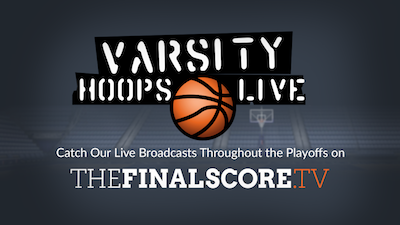 At the break, Nathan Hale found themselves in the rare position of trailing; a three point deficit. The third quarter has been a friend of Hale’s all season long. Tonight was no exception. The notion that this was the time the Raiders would crumble was quickly wiped away when they exploded for 23 points in the eight minutes following intermission helping to secure a double-digit margin heading into the final frame. Jontay Porter’s size and strength were too much for the increasingly fatigued Bulldogs to contain. J’Raan Brooks kept the door cracked open for a miraculous comeback scoring 15 points leading Garfield, but the Raiders were able to close out with authority including a dunk of the ages by Porter which he tossed to himself off the backboard and followed up with a tomahawk slam akin to what you’d see on an NBA court. When the clock struck triple zeros, Nathan Hale finished the job many had dream was possible, but one that needed to be seen to believe.